In my last post I mentioned that I spent last weekend in London with Indigo and Mouse. M is away at No.1 Bootcamp in Ibiza at the moment, so I went along with my lovely mum. We drove to Bow Quarter which is a totally dog friendly place to live, and got the tube to Primrose Hill. 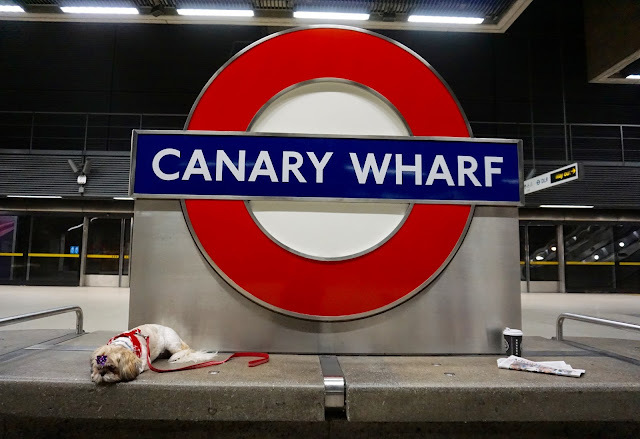 It can be quite nerve wracking taking dogs on the tube, or rather carrying fidgety dogs on escalators. Made worse if you suffer from anxiety, have a fear of heights and tend to worry about everything. Luckily they were very calm and well behaved, so there was nothing to worry about. When we arrived at Primrose Hill we had lunch at the Pembroke Castle. They don’t allow dogs inside the pub, but have a beer garden and provide blankets, a massive bonus with the English weather being so unpredictable. I managed to take a few photos of Indigo and Mouse in some of the stock for the boutique, although I’m keeping that a surprise for now. All will be revealed when my website is up and running! After lunch we took a walk down to St John’s Wood where we went into a few dog friendly shops. I have to say how refreshing it is to be able to go into a shop with your furry friend. Leaving your dog waiting outside for you is sadly not an option these days, as you can’t guarantee your four legged friend will be there when you get back. It’s such a shame but just not worth the risk, although I find that more and more shops are allowing well behaved and groomed dogs inside depending on which area you go to. On our way back to the flat we stopped off at The Morgan Arms which describes itself as a classy East London pub. It’s very light and airy with a certain rustic charm to it. It has that feel of ‘your local, but nicer’. It’s definitely one of my favourite pubs in the area that allows dogs inside, and also shows all the major sporting events on TV. Within half an hour of being there Molly Mouse decided to jump into my Mulberry bag and have a snooze, so we decided it was probably time to call it a day. My girl has good taste! The next day we decided to go to Camden before heading back home to Essex. It was so incredibly busy that I had to carry Indigo so that she didn’t get under anyone’s feet. Cute at first, not so much half an hour later with a dead arm. Next on my list of dog friendly places to go to in London is the Hampstead branch of Gaucho. Every first Sunday of the month they host a doggy brunch where you can bring your four legged friend along for a feast with a different themed menu each month. 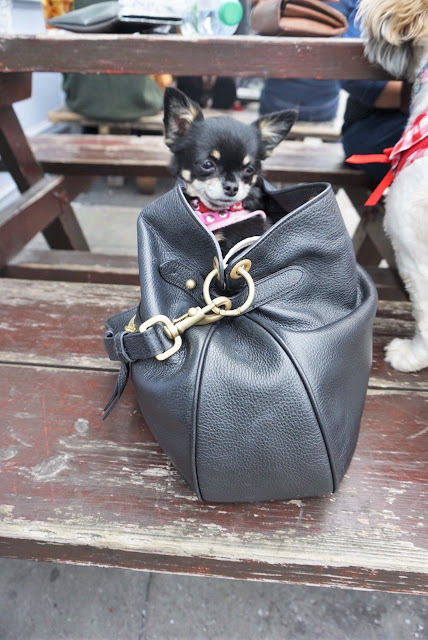 Do you have any suggestions of dog friendly places to go in London? Contact me by Twitter, or email. « Molly Mouse Turns 2!